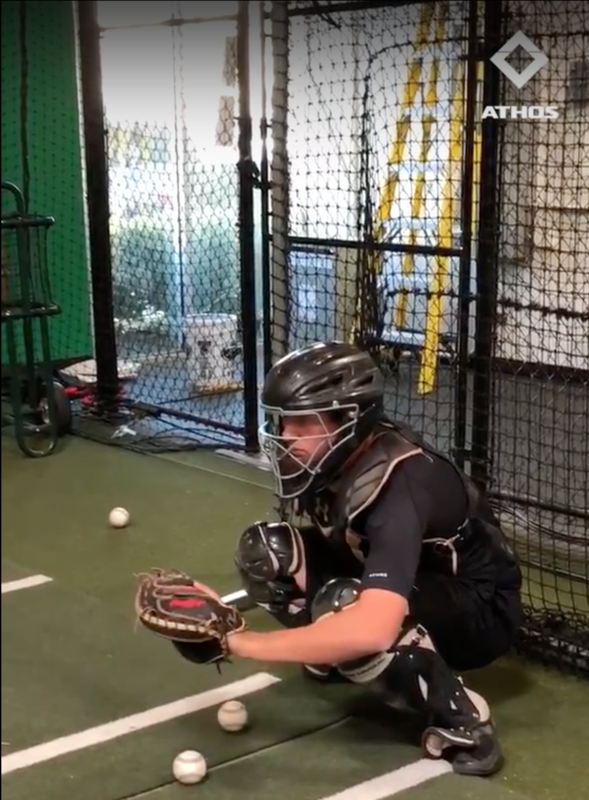 Victory Athletics Head Strength and Conditioning Coach, Garrett Nelson, recently spent some time with a catcher who was preparing for the upcoming baseball season. This catcher had Athos gear on to help him better understand how his body was reacting to different training drills. In the past, this athlete has experienced significant wear and tear along with several overuse injuries. His goal was to use Athos to identify potential issues in pre-season and establish a baseline to track changes. 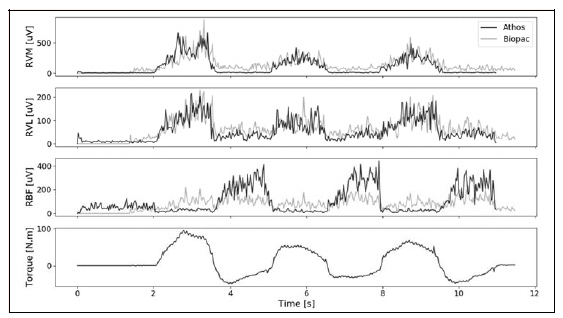 By tracking his activity we found that the athlete needed to adjust his preparation and recovery protocols in order to prevent additional lower body injury. This helped provide insight into how his preparation, programming, and recovery protocols should be adjusted in the future. Let’s take a look at the session data. The overall goal of the session was to look at the effects of basic catching tasks on upper and lower body musculature. I took a college bound catcher and made him catch a short bullpen, working on framing side to side and tracking pitches into the mitt, about 30 in total. After that, we did some simulated blocking - 2 to each side, 2 to the middle, and a dry throwdown. The analysis of this information helps us to better understand, not only this particular catcher, but the specific demands placed on the catching position in general. Since each portion of the season has greater or lesser demands on the catcher’s body, we can now create a better program and recovery system for him based on what he’s doing, as well as track any changes throughout the competitive season, which may signify a potential area susceptible to injury. Using the Athos Training System helped us to track several different metrics. Here’s a quick glimpse into some of what was revealed by tracking his internal training load. Higher lower body motion load. 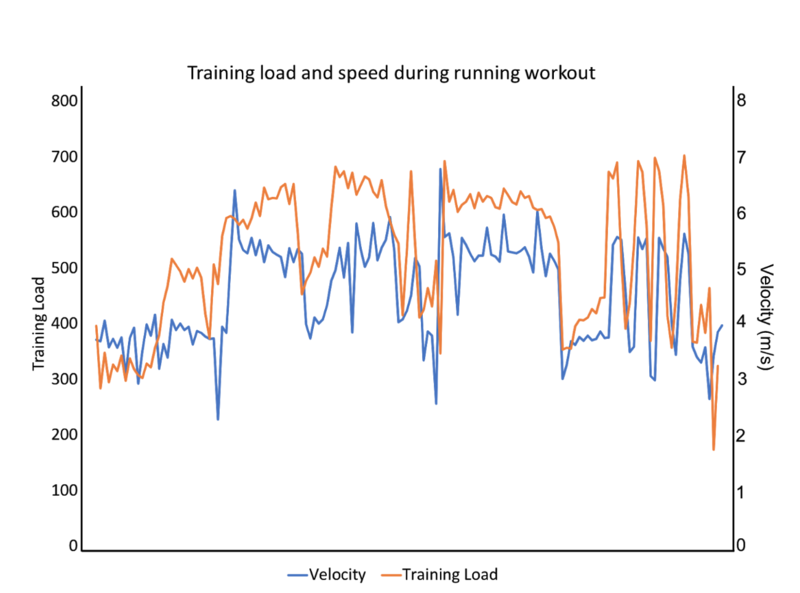 The bullpen had a greater training load, but that is probably based on aggregated time. If we controlled for time, we would probably see that the blocking/throwdown group had a higher training load per second. Blocking/throwdown skills were about 3x the intensity of the bullpen. Comparing blocking/throwdown to the bullpen, we see that the lower body created more motion load and the upper body had the same motion load in one-third the time. Both tasks primarily stress the quads with the lowest contribution coming from the glutes. There was a left bias during “passive” (bullpen) skills. There was a right bias during “active” (blocking/throwdown) skills. This information can be used to make informed decisions, especially regarding this catcher’s lower body. We could easily take this information and use it for catchers in general, but let’s get a little more specific to this current case. As catching activities increase (preseason and in-season), we can assume a greater stress is being placed upon the quads and all other activities need to reflect that change. This means a greater emphasis on developing the posterior chain in the weightroom to maintain symmetry, as well as an increase/individualization in recovery and preparatory routines for his quads and hip flexors. After the season, our goal will be to analyze and restore range of motion to his lower extremities, which will involve a lot of mobility drills and slow increases in loading within emphasis on control. During the off-season, our focus will be to train as much as possible to prepare this catcher for the demands placed on his quads by catching throughout the season. This will include drills closely related to catching as well as general and specific positional strengthening. Once he can handle training loads relative to in-game demands and proper recovery, our focus would shift toward maintaining that ability without overdoing it on the training side. Hopefully, this helps give some understanding as to how you can assess your own athletes and make faster,more informed decisions using Athos. If you’d like to learn more about Athos please click here.